Winter days have your kids bored? Do you need ways to burn your kids’ energy when it’s too cold or wet to go outside? Want to get a little exercise yourself? 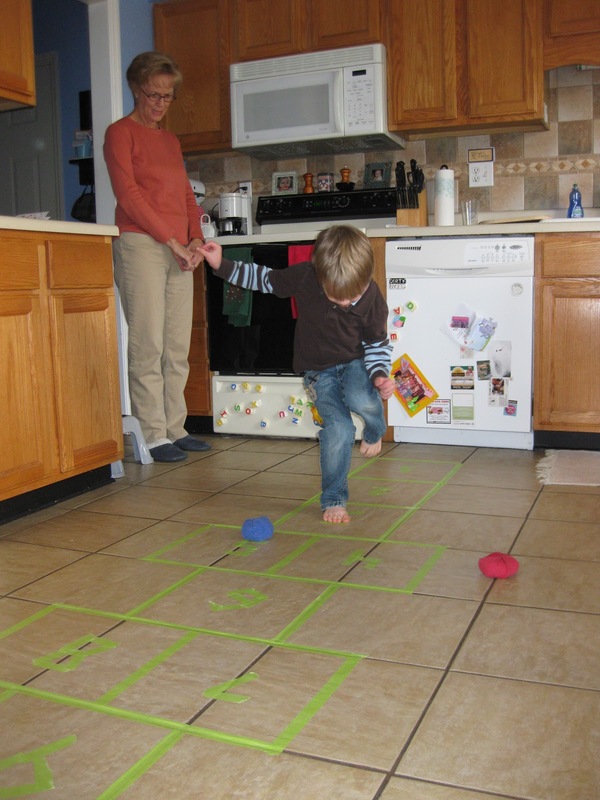 Use some tape and play some hopscotch in your kitchen!